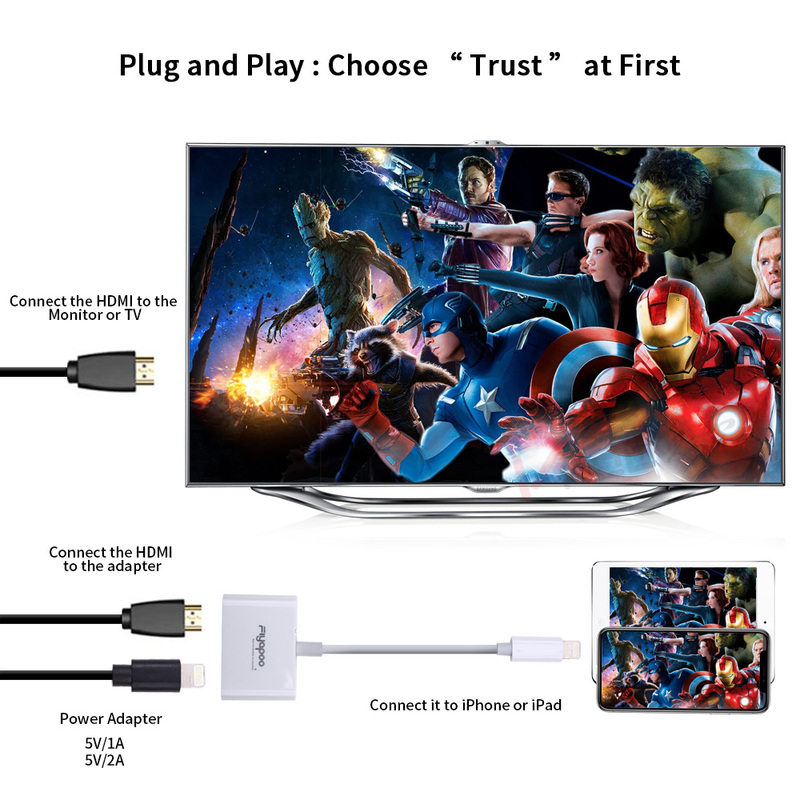 ♣ Plug & Play : Connect the HDMI cable to the Lightning to hdmi Adapter, then connect the adapter to an AC adapter with a lightning to USB cable, finally plug the lightning port into iPhone, iPad, iPod.Please choose "trust" and wait 8-10 seconds.Then it will be ready.The adapter will connect to the TV automatically Next . 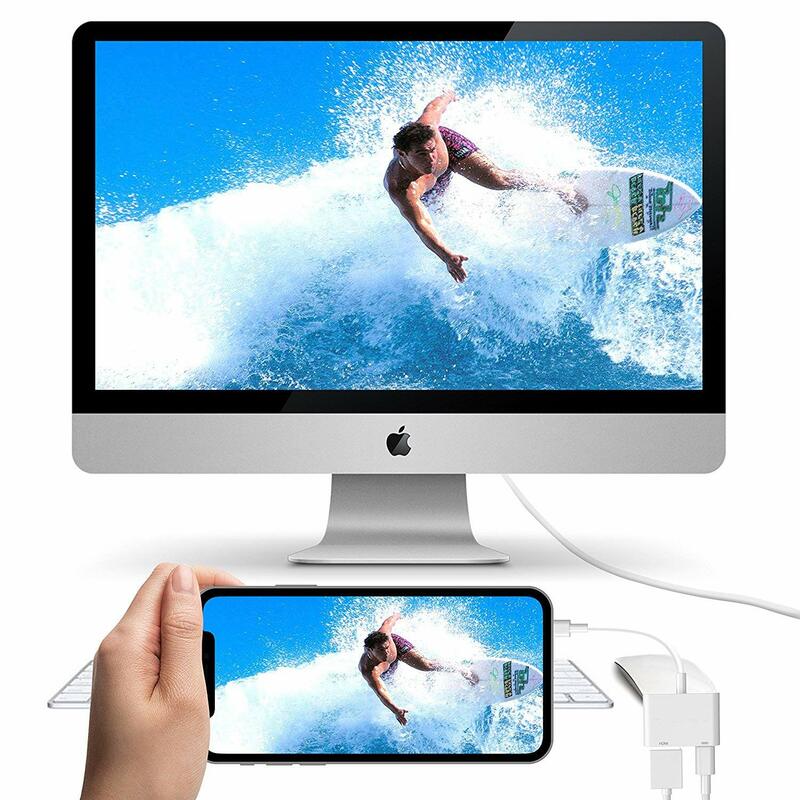 ♣ Widely Compatible : Compatible with all APPLE devices over iOS 8.1, work perfectly with iPhone X / 8 / 8 Plus / 7 / 7 Plus / 6S / 6S Plus / 6 / 6 Plus / 5 / 5c / 5S / iPad with Retina Display / iPad mini / Air / Pro. 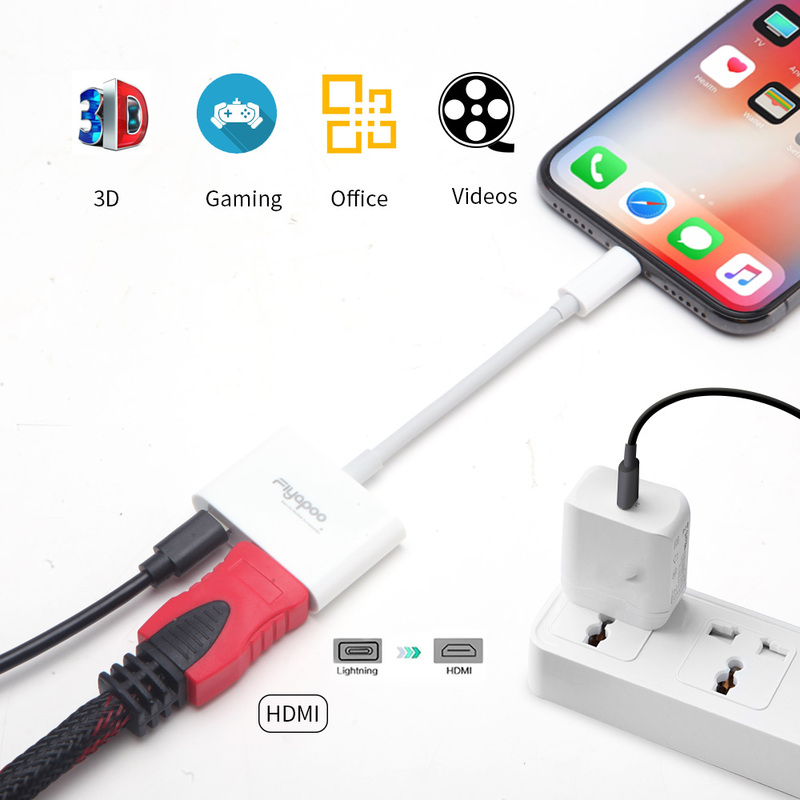 The adapter could Only connect the TV / Monitor which has HDMI interface. And the adapter UPGRADE AUTOMATICALLY ONLINE. 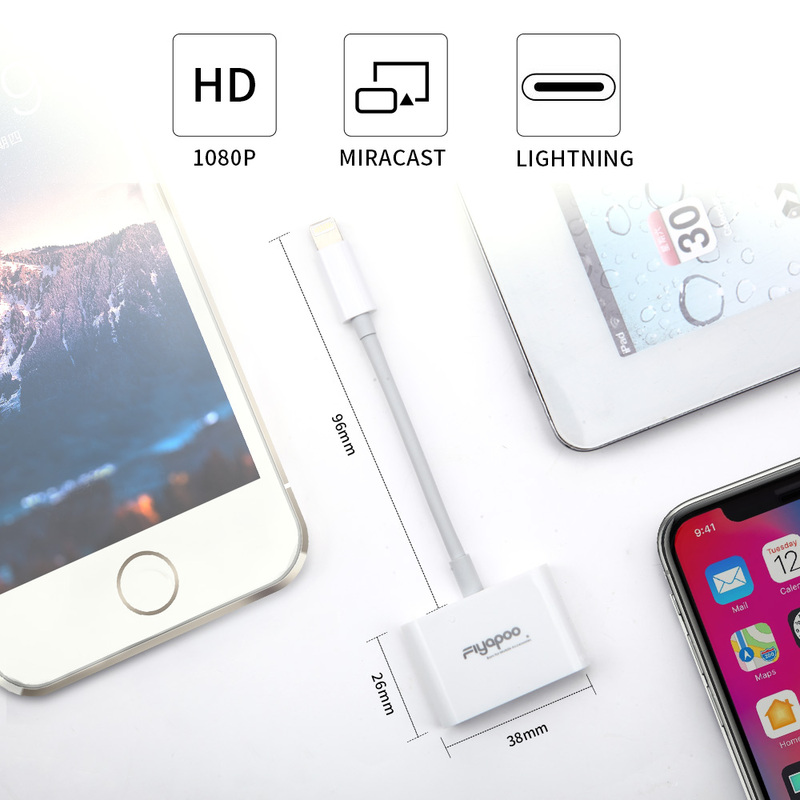 ♣ Up to 1080p HD : Lightning Digital AV Adapter Outputs video content - films, TV programs, captured video to big screen in up to 1080p HD.Providing ultra-clear overspeed visual experience in daily life and work. 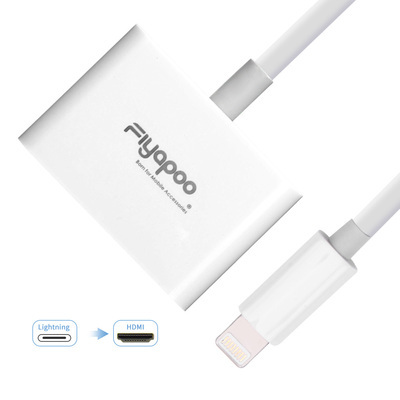 Note: Offering a 5V/1A or 5V/1.5A 5V/2A Power Adapter for this adapter. ♣ App Support: YouTube, IDMB, Quickflix, Family On TV, ABC, NBC, FOX and local videos. 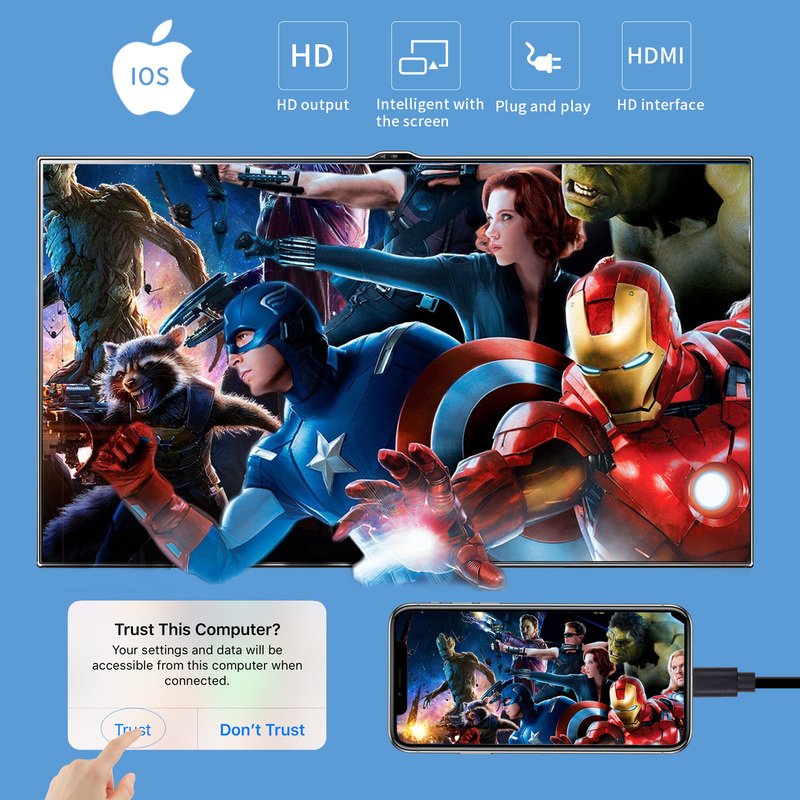 ♣ App Rejected： Not work with Apps with HDCP copyrights protection such as Netflix, Amazon video, HBO go, HULU etc. iPad mini / iPad Air / iPad Pro.